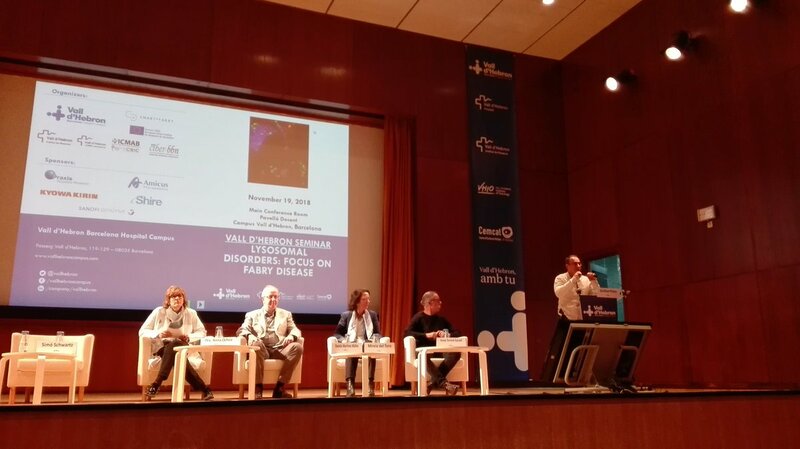 In the second plenary session, moderated by Nora Ventosa and Simó Schwartz, Scientific Directors of NANBIOSIS units 6 and 20 and devoted to New therapeutic strategies for lysosomal disorders, the speakers presented their findings regarding biomarkers, genetic variants and treatment protocols. 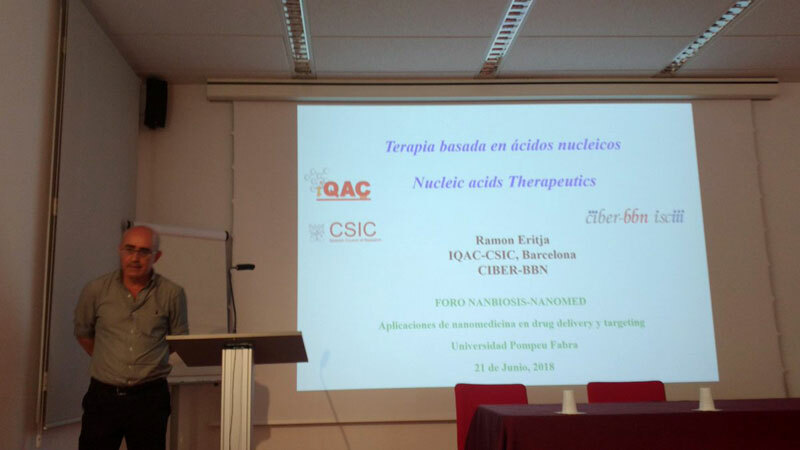 Ibane Abasolo, Scientific Coordinator of NANBIOSIS Unit 20 gave a talk on Nanomedicine in lysosomal disorders. Project Smart4Fabry . 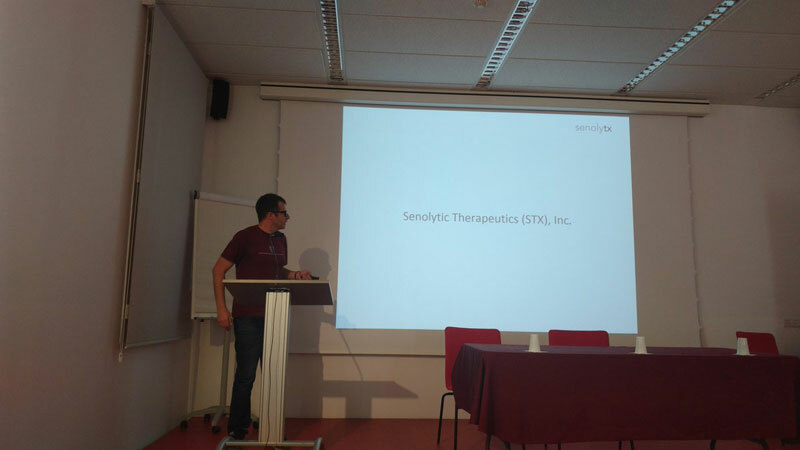 The Smart4Fabry project, coordinated by CIBER-BBN and with the participation of NANBIOSIS units U3 Synthesis of Peptides Unit, U6 Biomaterial Processing and Nanostructuring Unit and U20 Functional Validation & Preclinical Research (FVPR), was described in the course of this specific day on lysosomal diseases and Fabry’s disease. 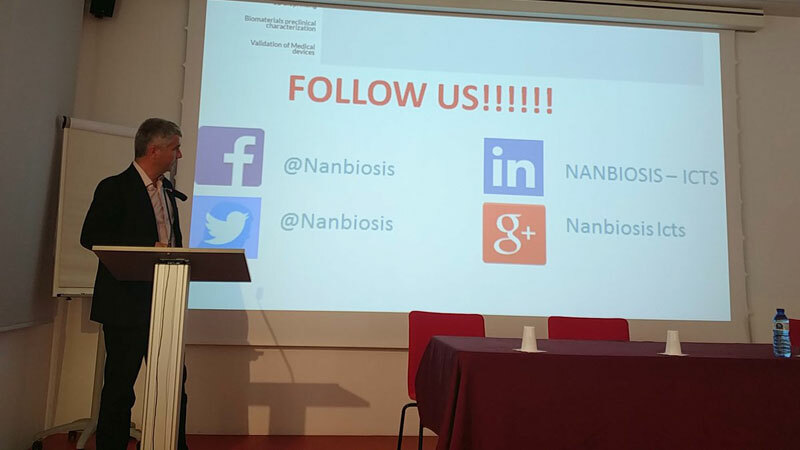 NANBIOSIS, U20. 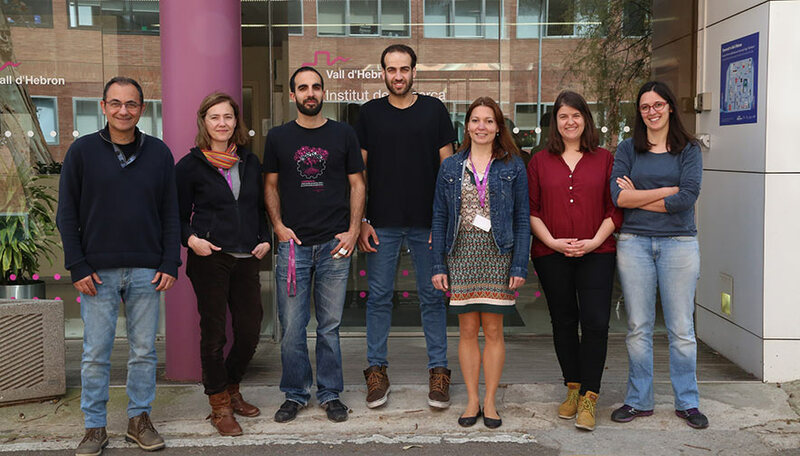 In Vivo Experimental Platform, led by Dr. Simó Schwartz and Dr. Ibane Ibasolo, has been recently updated and improved as a result of its participation in the project FICTS1420-20, selected by the MICINN for co-financing by the FEDER Program in ICTS 2014-2020. These update and improvement include: DLS meassurement system, a fluorimeter and a waterbath for specific activity assays. 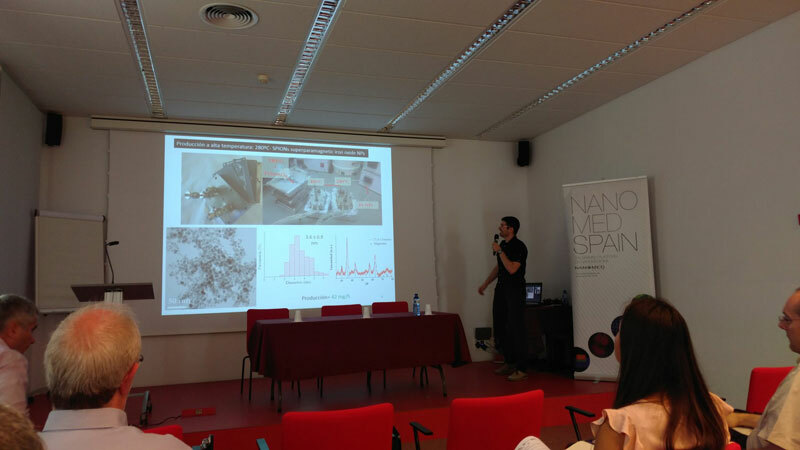 The fine characterization of the size and size distribution of nanoparticles is essential for the right understanding of their in vivo behavior. 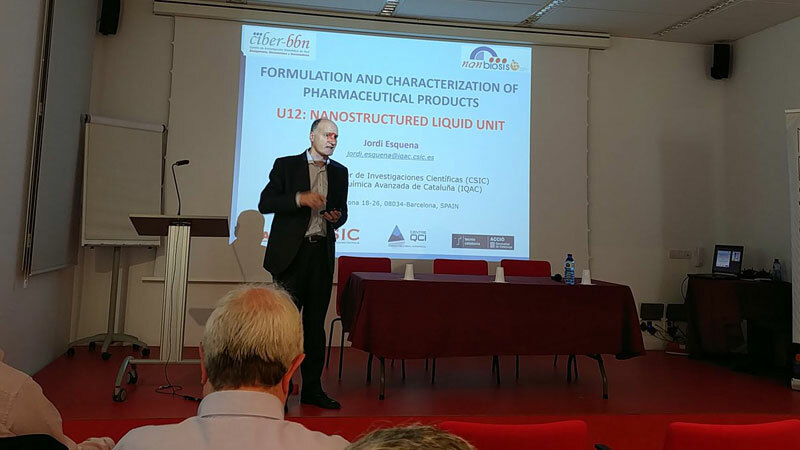 The incorporation of this service to the U20 allows the determination of the drug/fluorophore loading/activity of the drug delivery systemistered in vivo, a good quality control of compounds and nanoparticles, as well as the study of their stability upon storage. 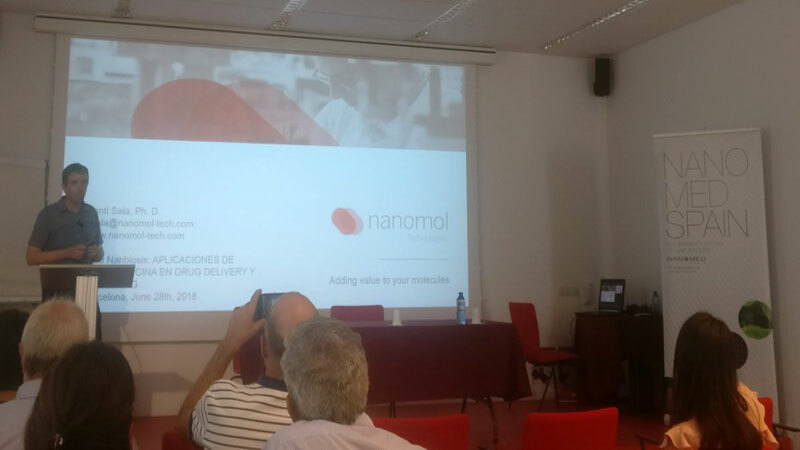 Yesterday took place in Barcelona, at Barcelona School of Management, Universitat Pompeu Fabra, a meeting of resarch groups and units of NANBIOSIS and CIBER-BBN and companies in the third B2B Forum organized by NANBIOSIS, in this case together with NANOMED SPAIN. 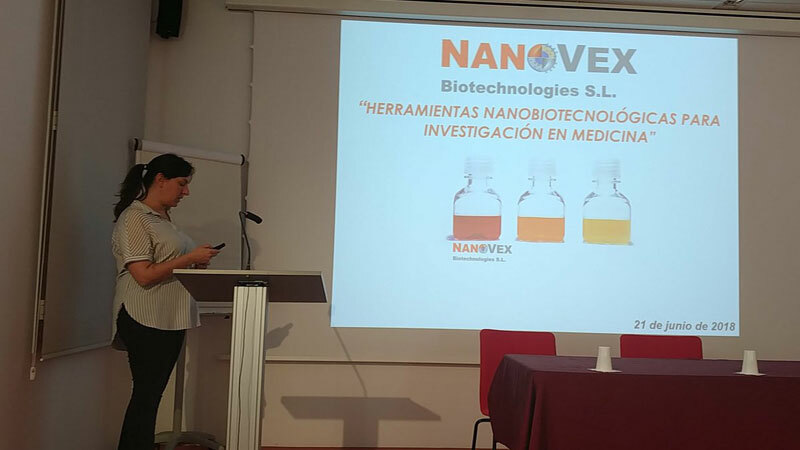 Thirteen companies and twelve groups from CIBER-BBN and CCMIJU (ten of them coordinating NANBIOSIS units) got together to explain, through short presentations of ten minutes, those lines of their work aimed at finding synergies and potential collaborations in the area of Nanomedicine apllications in drug delivery and targeting. 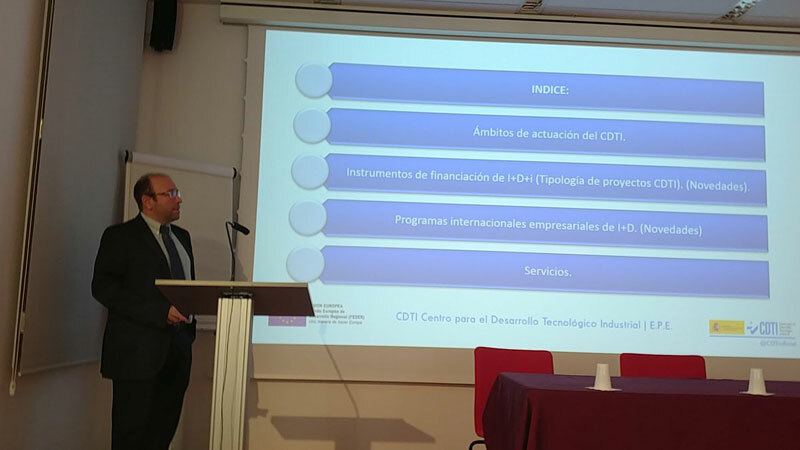 There was also a talk by a representative of CDTI (Spanish National Center for Industrial and Technological Development) to explain the financing opportunities for the companies as well as a presentation by the NANBIOSIS Coordinator, Jesús Izco, to show the new Cutting Edge Biomedical Solutions offered by the ICTS-NANBIOSIS. 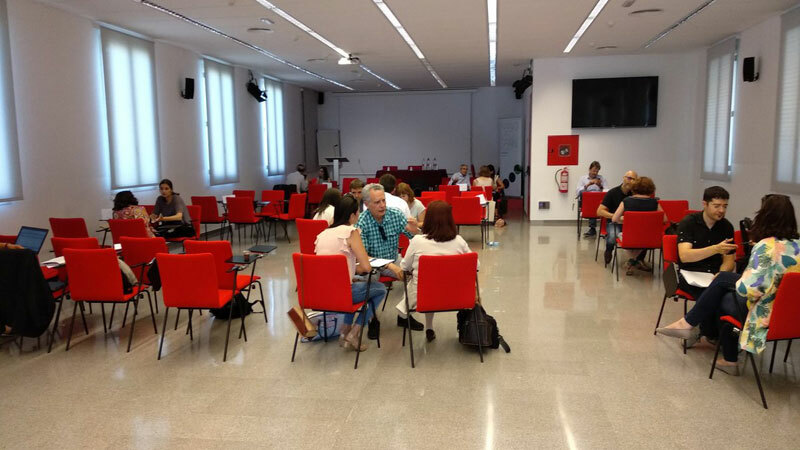 After lunch, the groups and companies had the opportunity to discuss in more detail, during bilateral interviews coordinated by NANBIOSIS a, those aspects that had attracted their attention, as well as, in some cases, to draw potential collaborations. 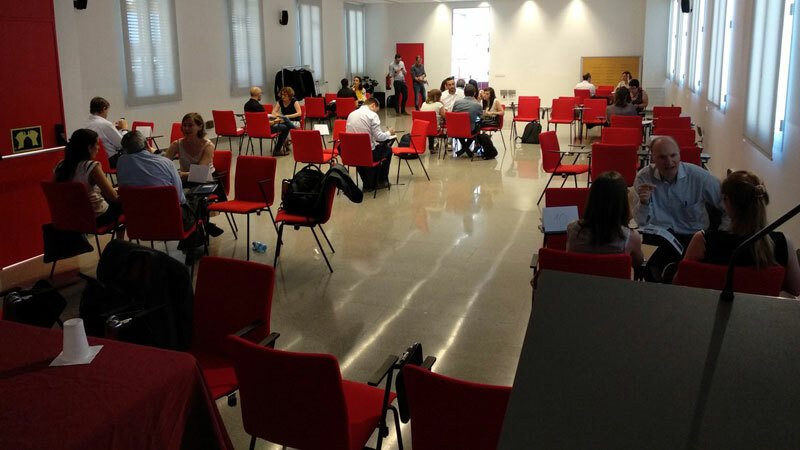 The event was successfully developed with 45 attendees and more than 50 individual B2B mettings. 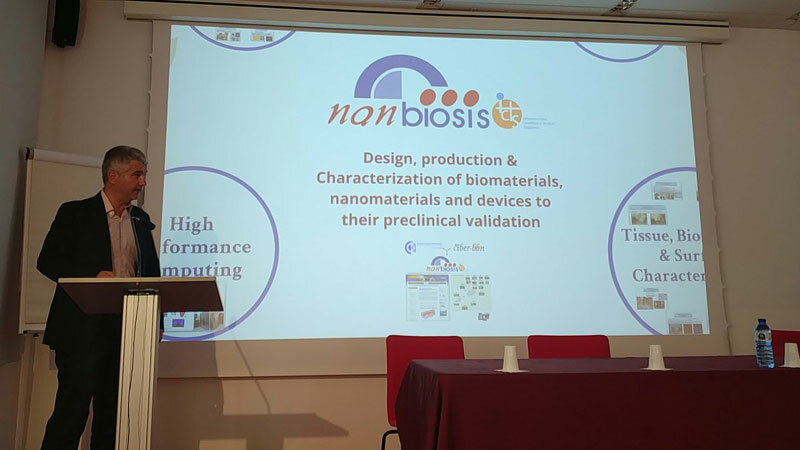 NANBIOSIS U20- In Vivo Experimental Platform, led by Dr Simó Schwartz and Dr. Ibane Ibasolo, has recently added new equipment as a result of its participation in the project FICTS1420-20, selected by the MINECO for co-financing by the FEDER Program in ICTS 2014-2020. 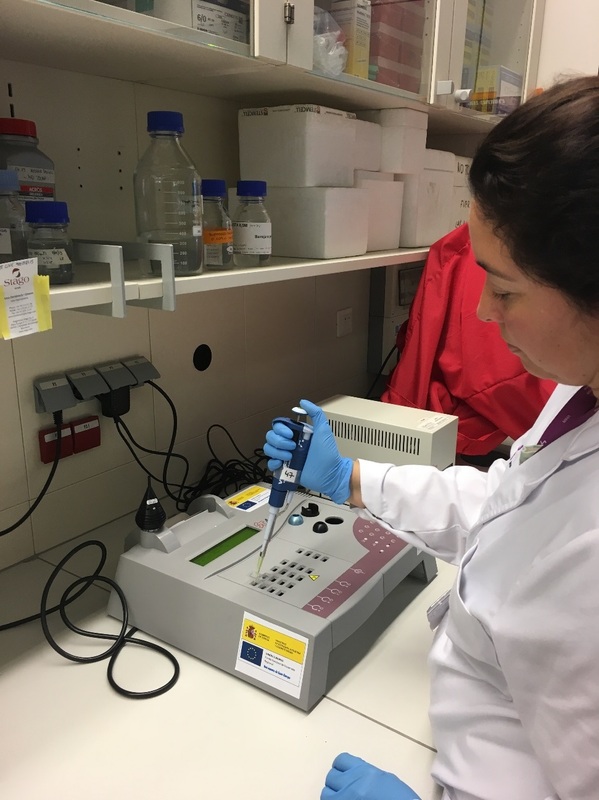 The new equipment is a Coagulometer (Diagnostica Stago STart® 4 Hemostasis Analyzer) used for measuring the plasma coagulation time upon incubation with different stimulators (PT, APTT, Fibrinogen, D-dimer (quantitative), Thrombin time, Reptilase time etc.) 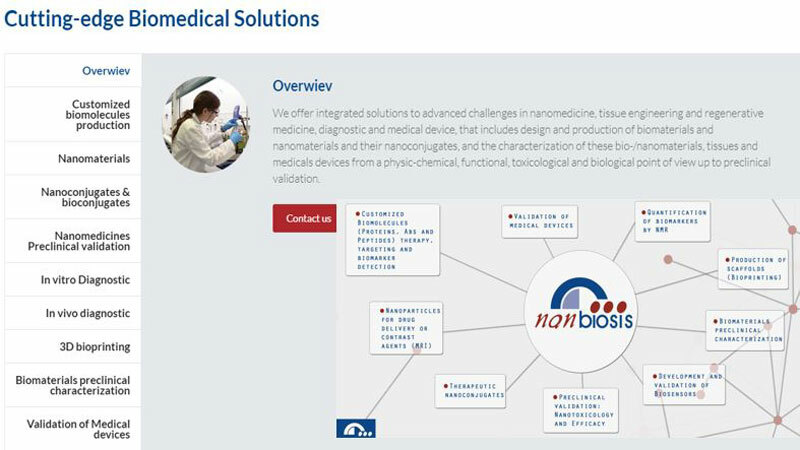 the use o f this equipment will allow the Unit to test the hemocompatibility of novel nanomedicines in development. 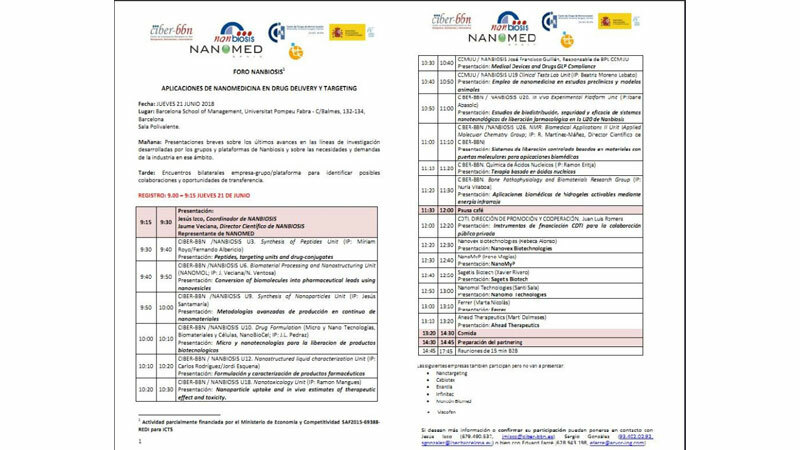 In the framework of the FEDER Program in ICTS 2014-2020, several projects related to the ICTS NANBIOSIS have been selected by the MINECO for co-financing with FEDER funds of the European Regional Development Funds program. 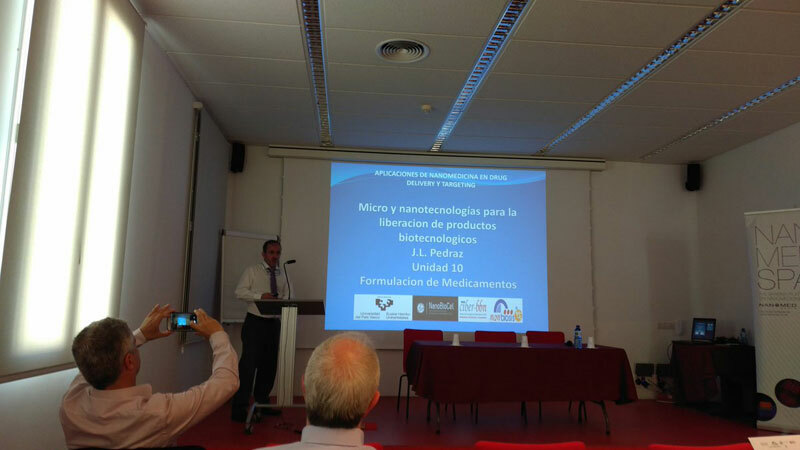 An agreement has been signed between MINECO and CIBER (partner of NANBIOSIS for the co-financing of the Project: “Purchase, installation and set-up of production and characterization equipment to complement the Units: U3-Synthesis of Peptides Unit, U18-Nanotoxicology and U20- In Vivo Experimental Platform”. 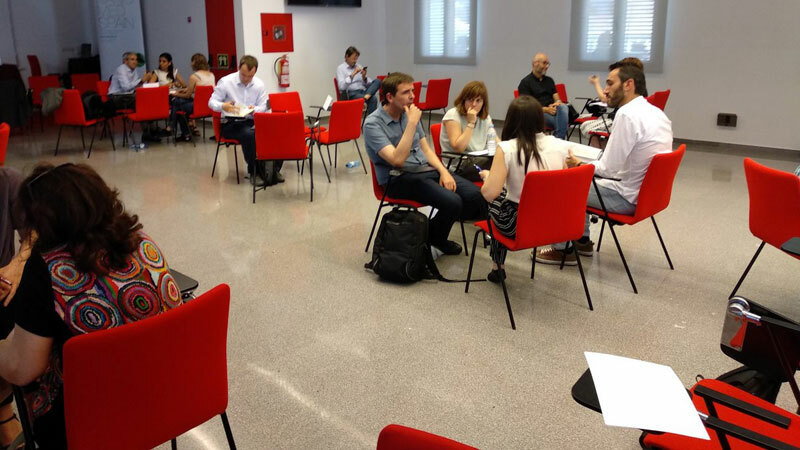 The total budget of the project amounts to € 307,566.16, with 50% financing with FEDER Funds. 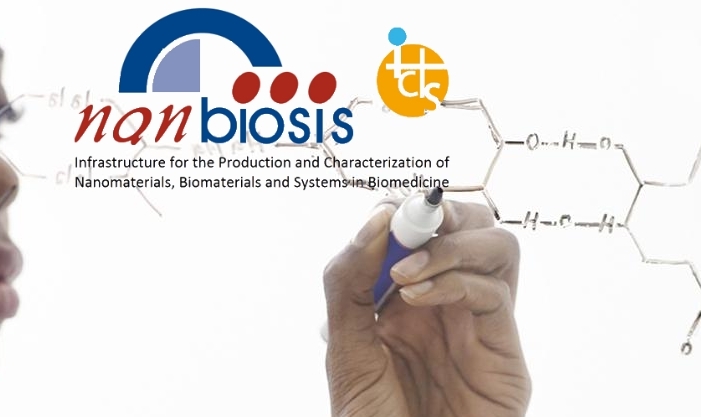 Also CSIC (The State Agency Superior Council of Scientific Investigations), institution that houses some of the NANBIOSIS units, as distributed ICTS, has signed an agreement with MINECO for the co-financing of the Project: “Purchase and installation and set-up of equipment and production and characterization laboratories to complement the units U2-Production of antibodies, U4-Biodeposition and biosensing, U6-Processing of biomaterials and U8-Micro, nanotechnology. 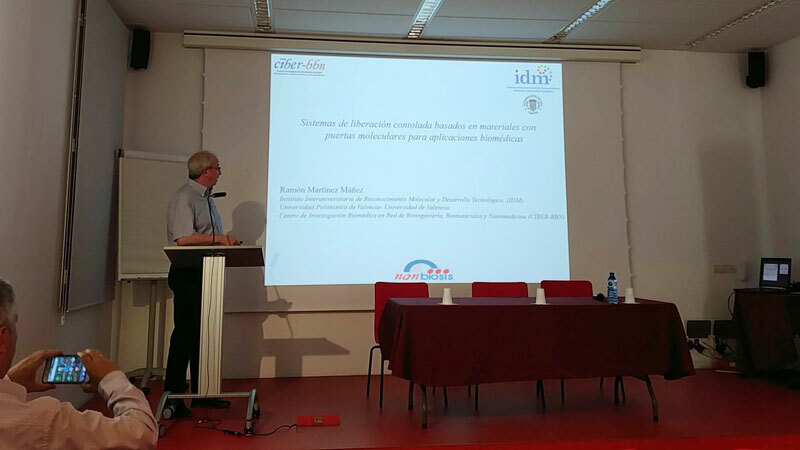 The total budget of the project amounts to € 312.800,00 €, with 50% financing with FEDER Funds. 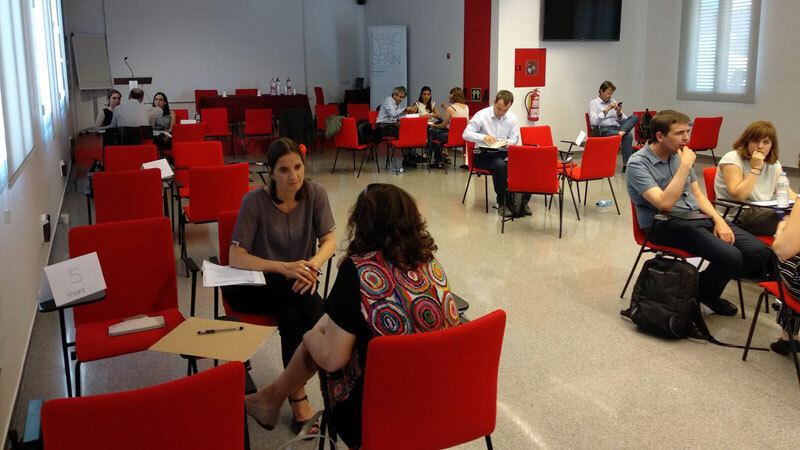 These two projects aim to increase the quantity and quality of the services offered by th implied units, with the objetive of positioning them as national and international benchmark in their respective fields of application. 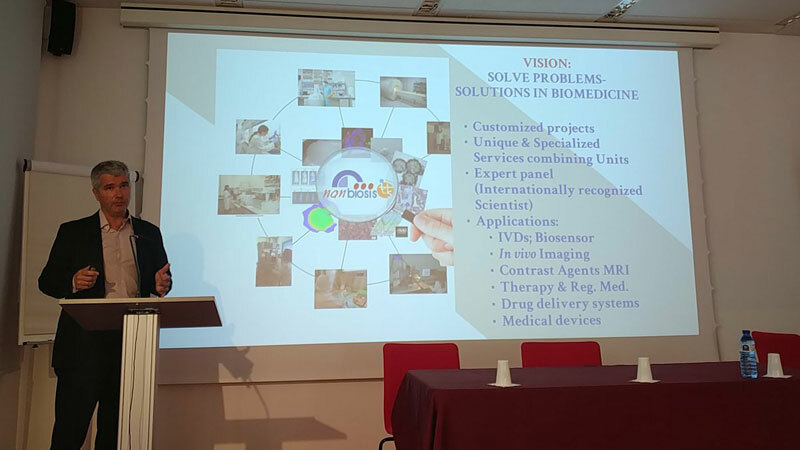 As a consequence, an increase in the performance (number of services and number of users) of each unit is expected, especially from companies (pharmaceutical and small biotechnology). 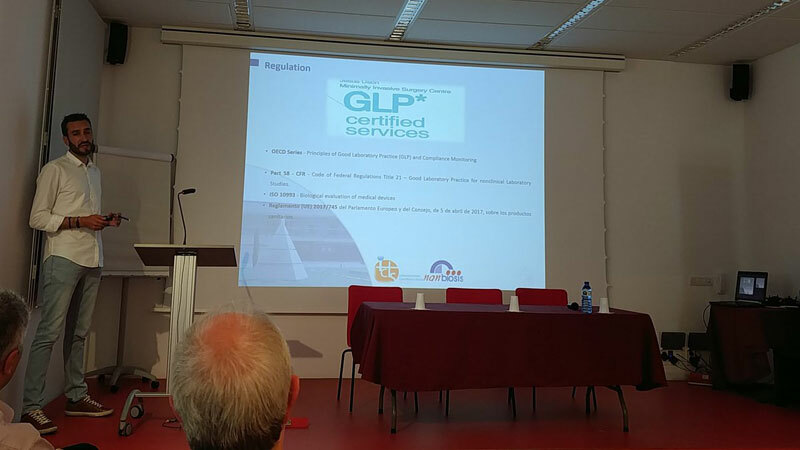 CSIC and CIBER are processing the necessary contracting procedures for the execution of these projects. 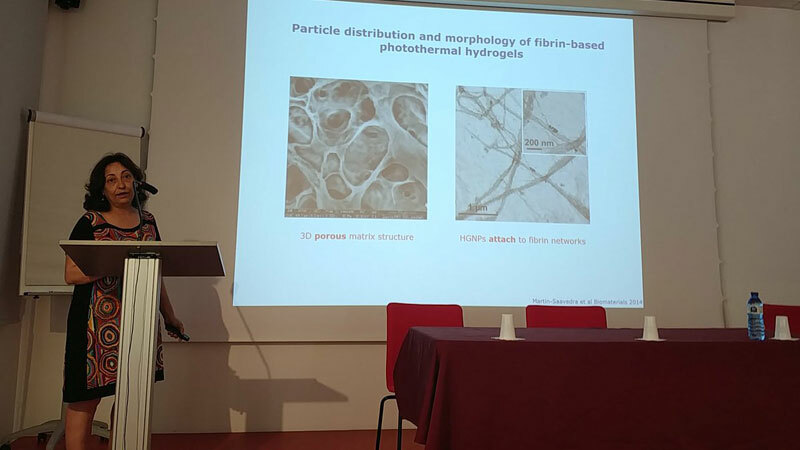 The Fabry International Network (FIN) association established the month of April as the “month of Fabry” to raise awareness and educate about this disease, a rare, progressive and with multi-organ involvement pathology. Fabry Disease is one of several dozen Lysosomal Storage Disorders that interfere with the body’s ability to break down specific fatty substances. It is a rare disease and because the rate of occurrence is less than 1 in 200,000, it is considered as one of the many “Orphan” diseases. It is more common in women, but it occurs with greater severity in men. Fabry disease is a metabolic disease that is produced by a deficiency of the ysosomal enzyme Alpha galactosidase. It is transmitted on the X chromosome. Fabry affected patients are missing alpha-galactosidase A (alpha-gal A) which results in sugars and fatty acids (Gb3) accumulating in the cells throughout the body and impairs the function of several major organs including the kidneys and heart. In 2001, enzyme replacement therapy appeared when the alpha-galactosidase protein (alpha- and beta-agalsidase) was synthesized in the laboratory using genetic engineering techniques. This treatment is injected into patients every 15 days to replenish the deficit levels of this enzyme and stop the progression of the disease. 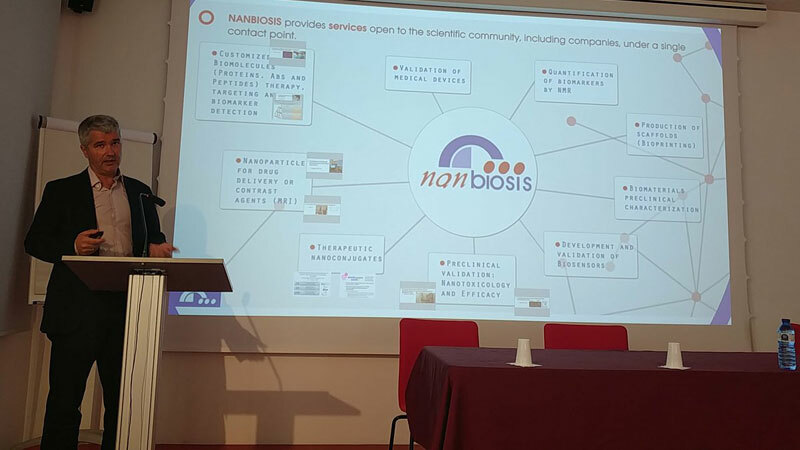 CIBER-BBN, partner of NANBIOSIS, leads the European project Smart4fabry funded by the Horizon 2020 program, which will be developed through a consortium formed by 14 partners from 5 different countries. 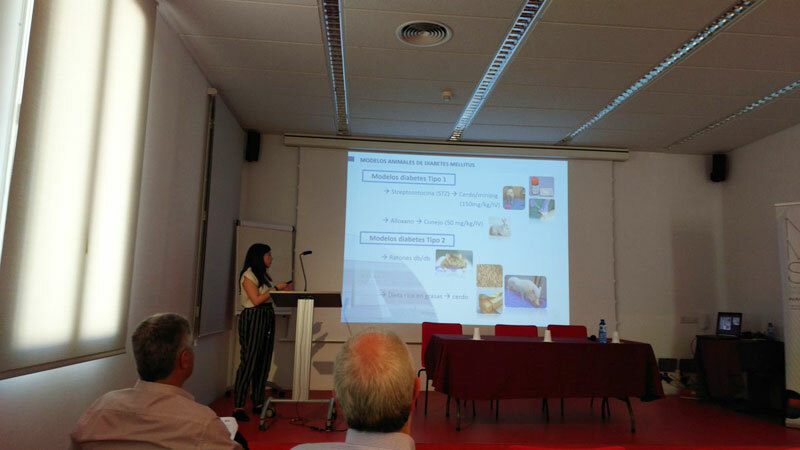 The CIBER-BBN coordinates the project through the participation of four of its groups that coordinate four units of NANBIOSIS (U1.Protein Production Platform (PPP), U3. Synthesis of Peptides Unit, U6. 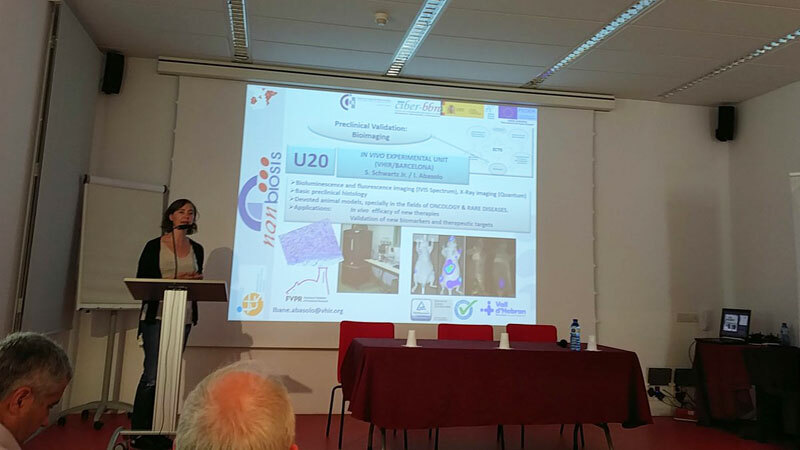 Biomaterial Processing and Nanostructuring Unit and U20. In Vivo Experimental Platform.) 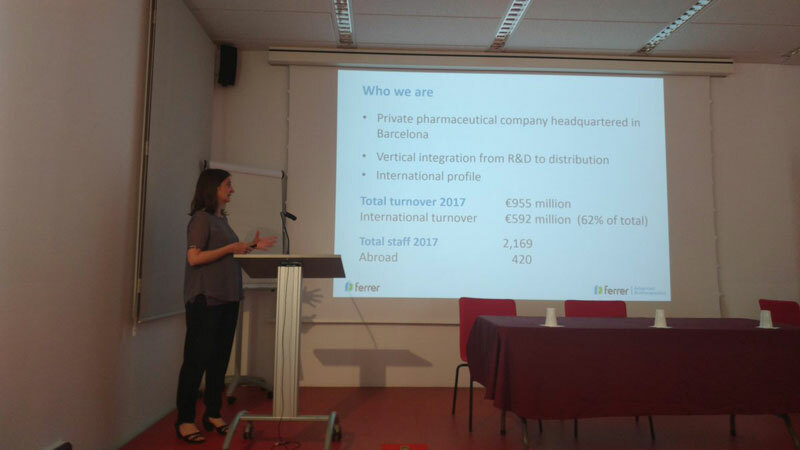 In addition, the consortium is formed by the University of Aarhus (Denmark), Technion Israel Institute of Technology (Israel), Joanneum Research (Austria), Biopraxis Research AIE (Spain), the spin off Nanomol Technologies SL (Spain) ), BioNanoNet (Austria), Drug Development and Regulation SL (Spain), the Covance Laboratories LTD group (UK), and Leanbio SL (Spain) Smart-4-Fabry has been conceived and developed to obtain a new nanoformulation of GLA, that will improve the efficacy and toleration of the treatment with non-formulated GLA. 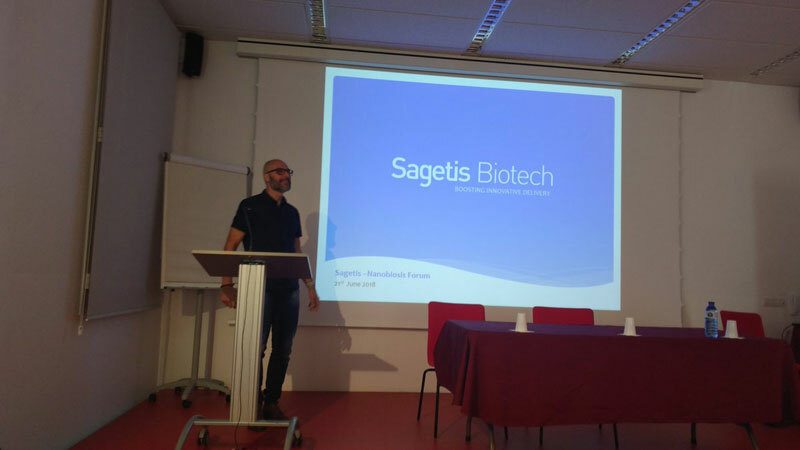 The final benefit will be seen as a considerable reduction on the Fabry disease treatment cost and a substantial improvement in the life-quality of Fabry disease patients. 8th – 10th June 2018 at the Vilnius Grand Resort, Ežeraičių g. 2, Ežeraičių km., Avižienių sen., Vilniaus raj., LT-14200, Lietuva. 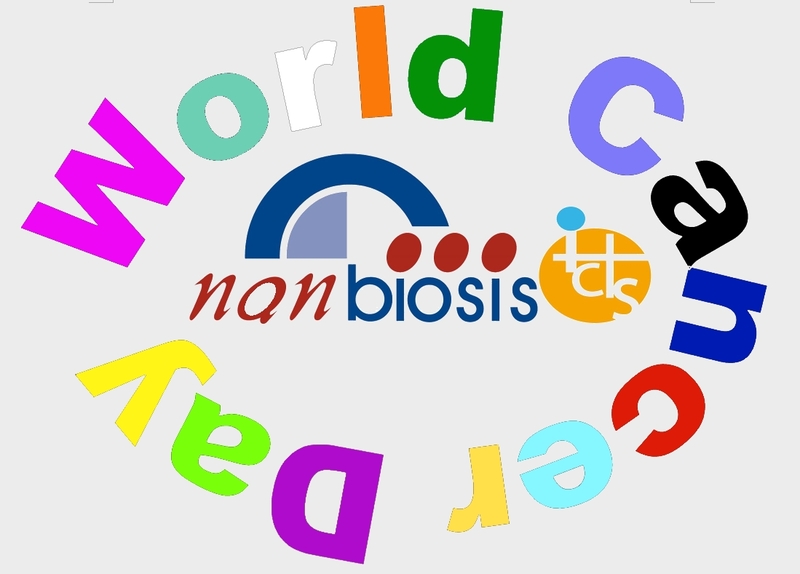 The CIBER-BBN-CIBBIM group, led by Dr. Simó Schwartz, coordinating NANBIOSIS U20. 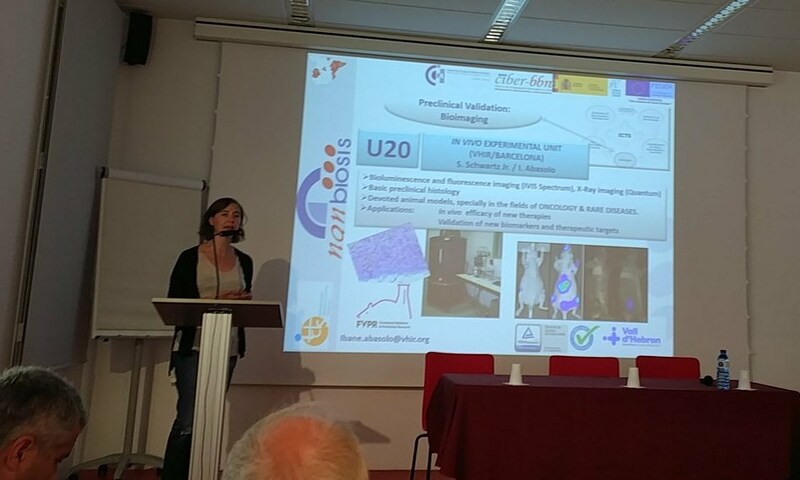 In Vivo Experimental Platform has been granted a FET Innovation project (Future and Emerging Technologies) within the Horizon 2020 program. 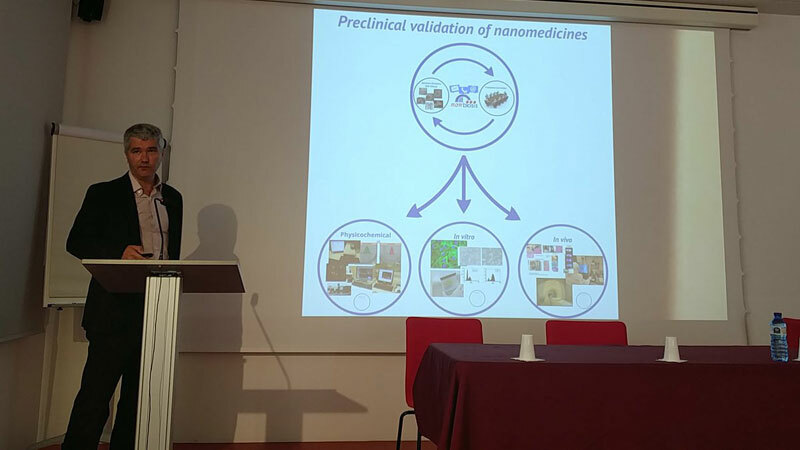 The EVO-NANO project aims to develop a virtual simulator, called NanoDoc, which will allow testing the behavior of nanoparticles within a tumor and with other nanoparticles. 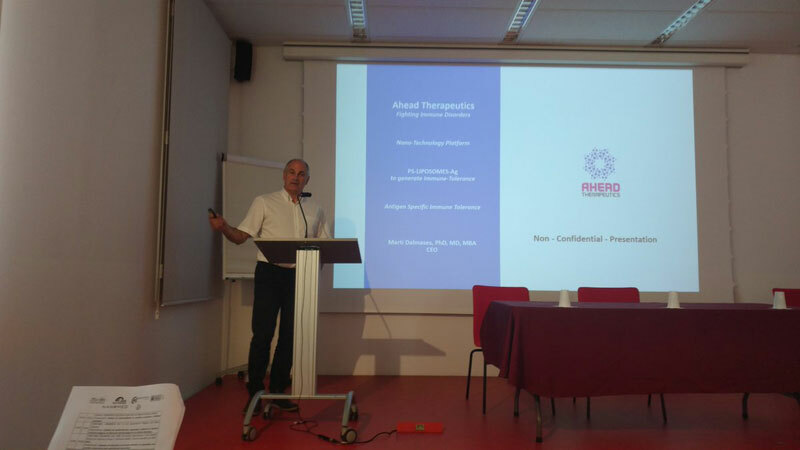 It is a multidisciplinary project that will develop a consortium of European research centers with the aim of creating a platform available to everyone and at the forefront of Nanomedicine that facilitates the rapid development and testing of new treatments against cancer. 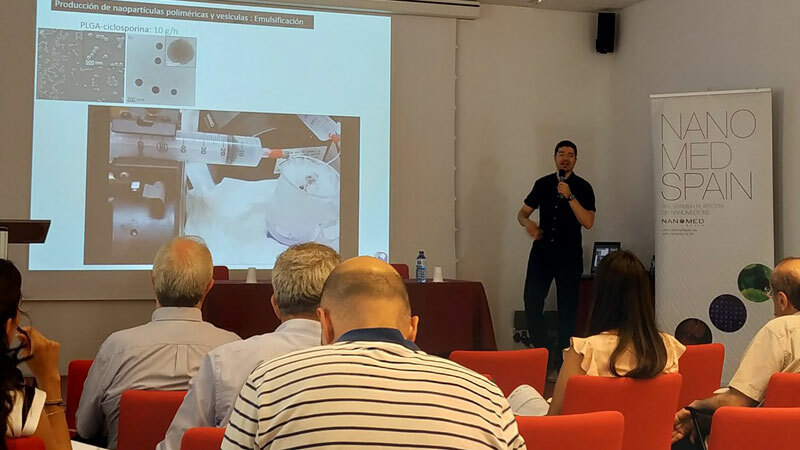 “It will become an evolutive platform capable of autonomously offering innovative, efficient and adapted solutions that can also be transferred to other complex biomedical challenges,” explains Dr. Schwartz Jr.
Until now, it is unknown how the behavior of nanoparticles when they are injected in large volume and come into contact, for example, with the bloodstream. 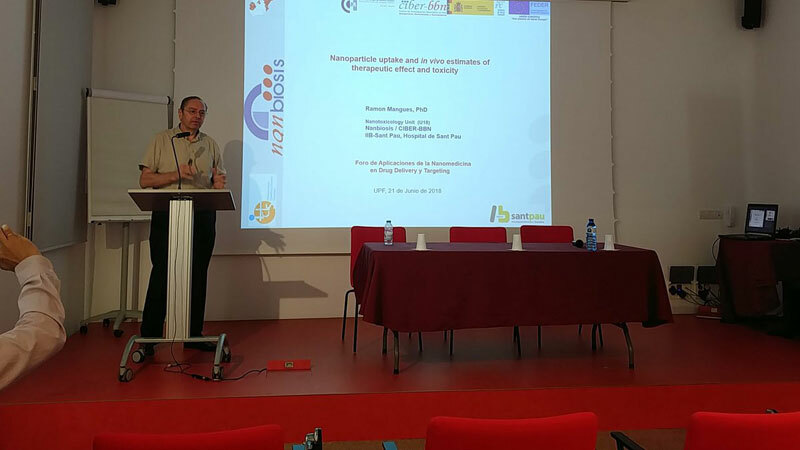 It is not known whether the fruit of the interactions between them and with the media will have a better or worse therapeutic efficacy. 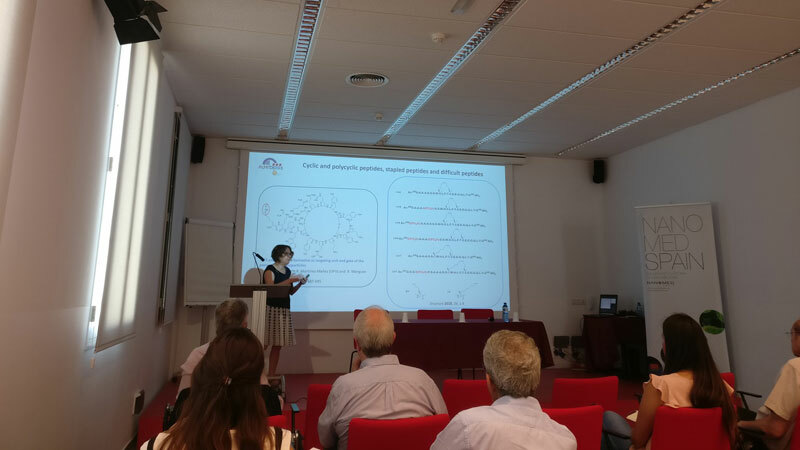 In the same way, its distribution in a tumoral environment is not known, if they affect more to one type of cells than to others, their behavior before cancer stem cells, etc. 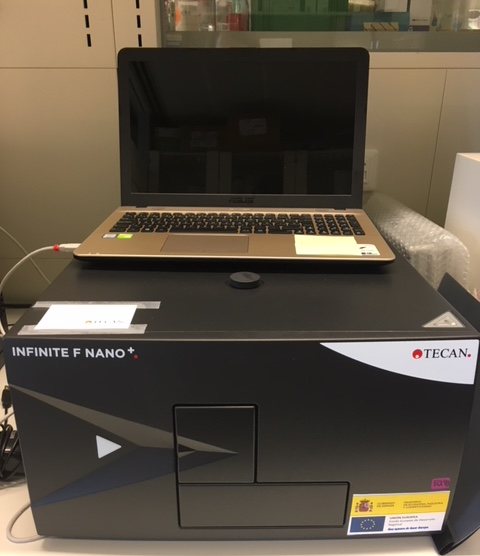 “This simulator will help to understand how nanoparticles interact with each other and in a biological environment when they are injected, in a large volume, in a tumor or in any part of the body,” Dr. Schwartz Jr. adds. 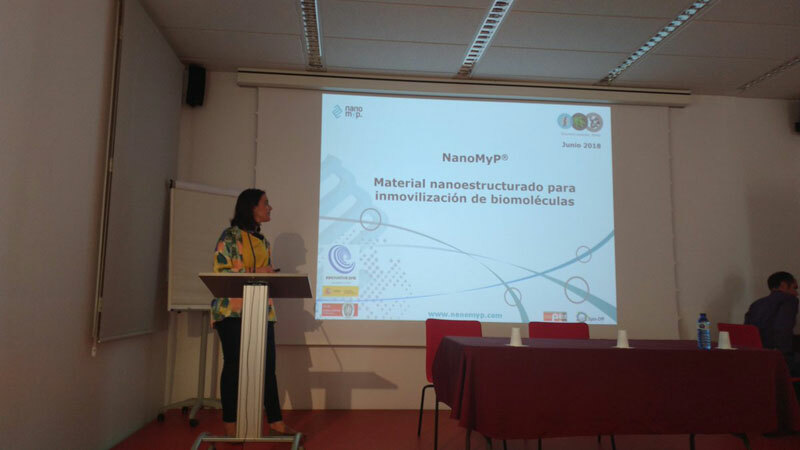 Nanoparticles that have an optimal behavior that will later be studied and validated in biological models in vitro and in vivo in breast and colon cancer stem cells. 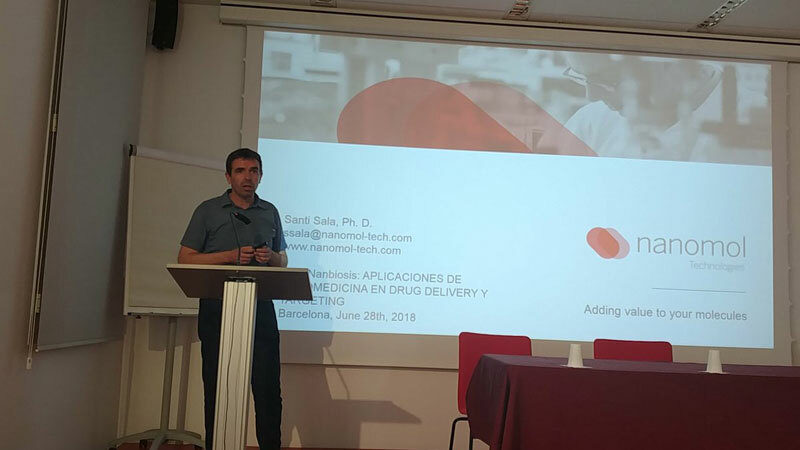 In addition, the project has an industry partner, Pro Chimia Surfaces, which will promote a translation strategy that enables the arrival of new patients’ nanomedicaments.